It's that time of year again! The residents that dwell just below New England are making their way up to see how gorgeous our foliage is! They swoop in just in time to snap a few pictures, pick some apples, and buy pumpkins to carve for Halloween! Having so much to see and get done here in the leaf peeper's weekend to New England means not having a lot of time to bake and prepare goodies to enjoy! Look no further! It's possibly THE recipe meant for the ultimate leaf peeper! 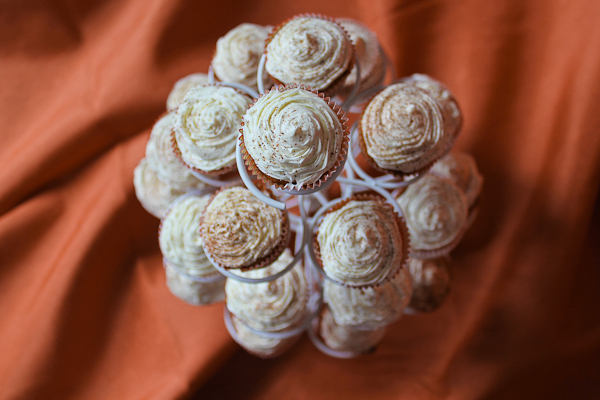 This pumpkin cupcake recipe is perfect for fall--and leaf peepers! Blend and whip your cake mix, pumpkin, eggs, oil and water. The consistency you're looking for is well mixed, but it will be difficult to do if you're blending and whipping by hand so get ready to work on those biceps! When you're done whipping, fill the tray about 1/2 way. 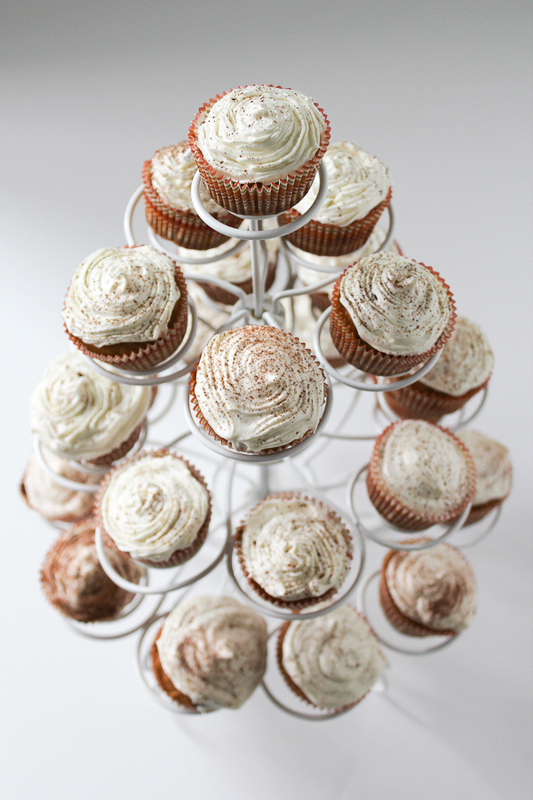 Let them cool away from the oven and then spread your cream cheese frosting, and then lightly sprinkle cinnamon on top! OH! And it tastes JUST like a Starbucks Pumpkin Spice latte! Oh my goodness, these look SO good! 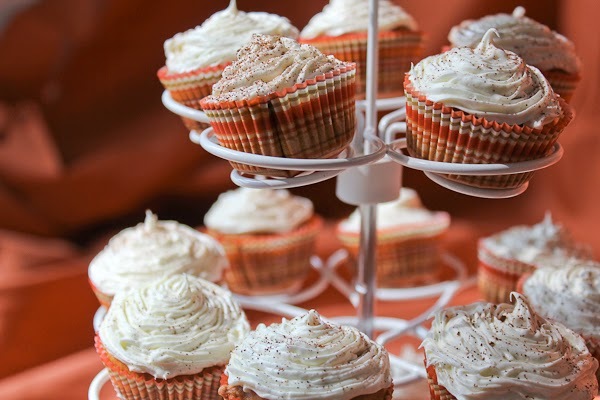 I bet they would make your kitchen smell totally yummy for fall, too. Thanks for sharing! *I'm having a little personalized giveaway going on now! Hope you can check it out! 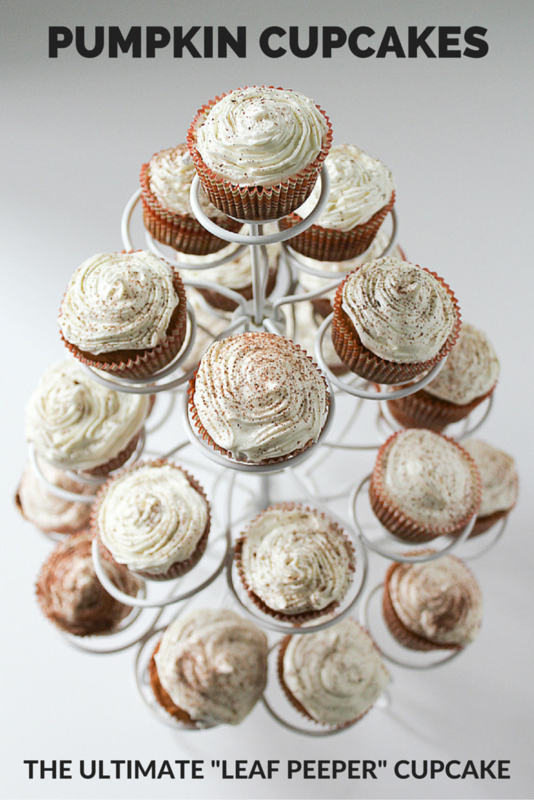 These look yummy and I know how it is with the "leaf peepers" I featured these tonight at Simply Creation's Link Party! Thanks for sharing.